Many people look to extraordinary experiences as evidence of the Holy Spirit. But what happens when the experience ends? How can we be filled with the Spirit every day in the ordinary things we do? In never-before-published material taken from A.W. 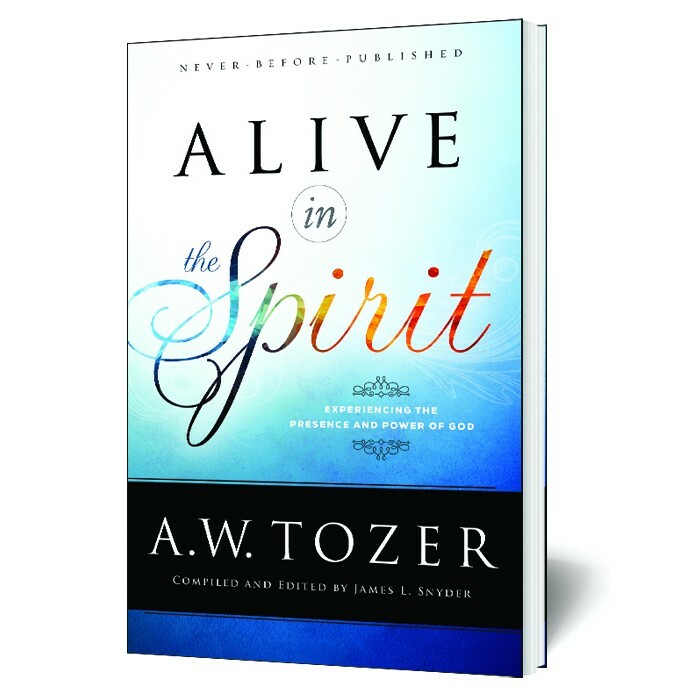 Tozer's sermons, Alive in the Spirit answers these questions and, in a balanced perspective, explores what the Spirit's involvement in your life should look like. Many talk about being filled with the Holy Spirit, but few accept God's conditions. Tozer lays down these requirements in his trademark bold and wise way. Though every Christian has the Spirit, not every Christian is filled with the Spirit. Knowing the difference will change your life.